Wielding a camera as often as I do means there is a canine photo opportunity at every turn. 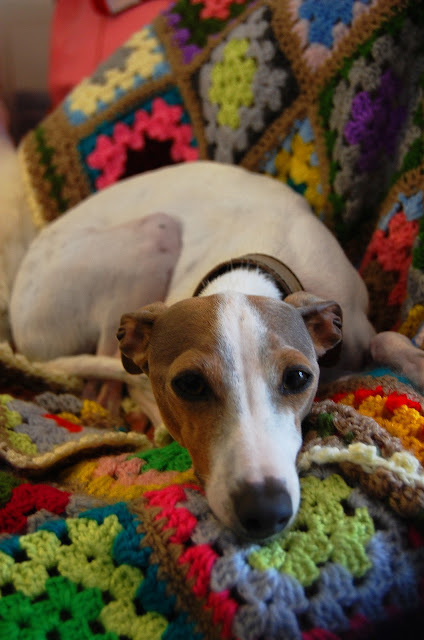 This is one of my favourites - our Italian Greyhound Audrey on the nanna blanket I bought on our weekend in the Blue Mountains. Audrey is gorgeous and I love that she is putting on a little bit of suffering for the photo.. Gorgeous and a little misty in the eyes..! A real super model. Audrey is so nice! Catch your eyes!